Welcome to The View Restaurant & Lounge: New York’s only revolving rooftop restaurant. The revolving floor makes a 360° turn every hour, ensuring an ever-changing perspective of this celebrated city. We’ve paired breathtaking views with culinary excellence to create the ultimate dining experience. Highlighted by fresh local ingredients, our prix-fixe, brunch, buffet and seasonal tasting menus boast an exquisite selection of regional produce, meats, and seafood. 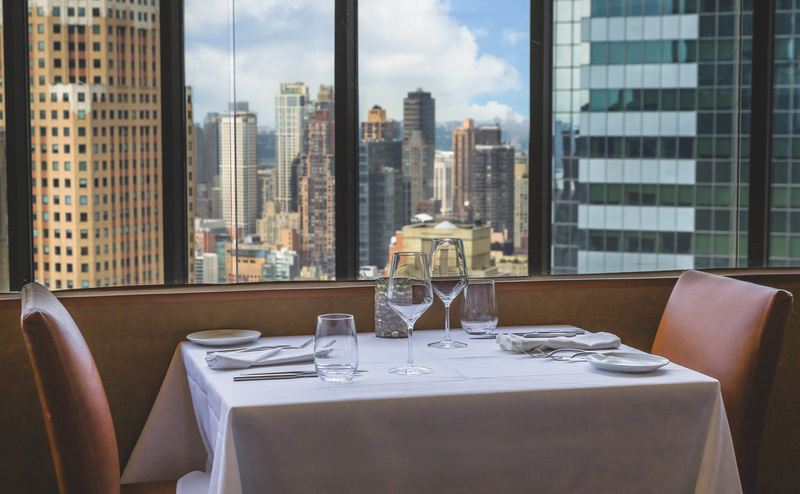 Get ready for an unparalleled dining experience as our express elevators whisk you 48 stories above New York City! Our Restaurant Group Dining team specializes in planning spectacular events in The View Lounge and Restaurant. From Sweet 16 parties and wedding receptions to company dinners and everything in between, our goal is to create a memorable, one-of-a-kind experience for your special event.